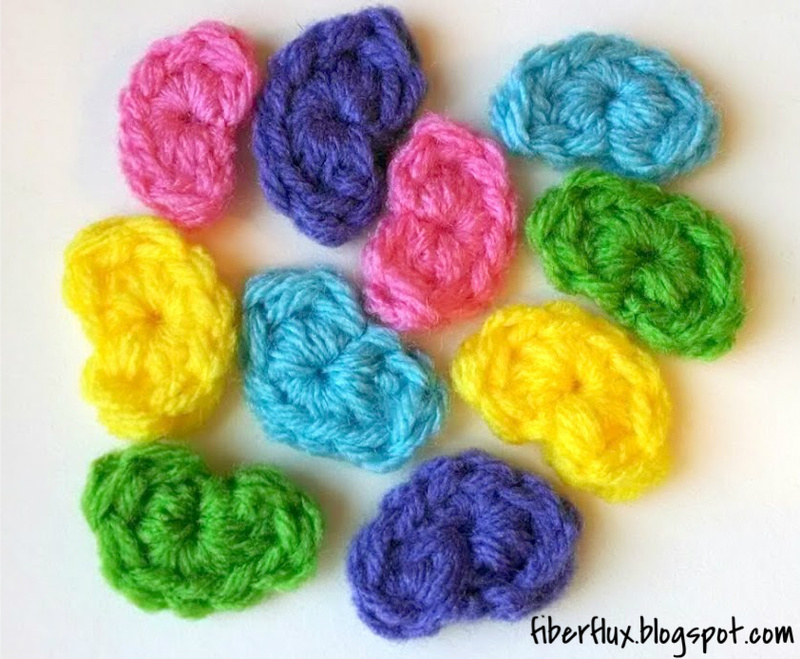 Fiber Flux: Free Crochet Pattern...Crochet Jelly Beans! Free Crochet Pattern...Crochet Jelly Beans! These yarny jelly beans use just a little bit of yarn and some basic stitches. Crochet a bunch in a rainbow of colors for your springy festivities, scatter across a table, or tuck a few into a basket. Note: Jelly Beans are worked in the round. Round 1 (work all stitches into the ring): dc, tr, dc, sc, sc, sc, dc, tr, dc, sl st. Do not join to close, instead just fasten off. (I found that when I joined, the indentation of the jelly bean wasn't as prominent).